The standoff between the United States and North Korea continues to escalate with neither side willing to back down. With each passing day, the possibility of open warfare breaking out seems to increase as each side ups the ante. Indeed, Pres. Donald Trump has ratcheted up his rhetoric in recent days — seemingly threatening to launch a nuclear first strike against North Korea. Just hours later, Kim Jong Un’s regime in Pyongyang threatened to preemptively strike at American forces given even a “slight sign of the U.S. provocation.” That, according to the North Korean statement, would include a “beheading operation” such as a special operations forces raid aimed at assassinating Kim. Mattis also warned that the United States would continue to maintain overwhelming nuclear superiority over Pyongyang. If tensions with North Korea boil over into open warfare — or if Trump decides to launch a preemptive strike — there are military options available to the United States. However, the collateral damage that might be wrought onto South Korea and Japan could be devastating. Another high-ranking former senior defense official said that North Korea is a complex, multi-dimensional problem. It is not an issue that can be solved by the military or even the United States by itself. All of the stakeholders in the Western Pacific including Japan, South Korea, China, Russia and United States have to be part of the equation. But what are the military options available to the United States should it come to war? Arms control advocates note that a preventative nuclear first strike would be a gross violation of international law. “Talk of targeting North Korea with nuclear weapons is delusional and should be off the table,” Kelsey Davenport, director for nonproliferation policy at the Arms Control Association, told The National Interest. If Trump’s words are taken at face value and a nuclear first strike is a real option that he is considering, the U.S. Air Force’s fleet of 20 B-2 Spirit stealth bombers will likely have to shoulder the burden. “We haven’t had tactical nukes in the fleet since the Bush I administration, so no first strike will come from the sea,” James R. Holmes, professor of strategy at the U.S. Naval War College — speaking in a personal capacity — told The National Interest. As for conventional options, the B-2 can carry a pair of 30,000 pound GBU-57A/B Massive Ordnance Penetrator bombs, but the U.S. Air Force only has a handful of those weapons in its inventory. It is not clear if there are enough GBU-57s available to substantially damage the North Korean nuclear program, let alone destroy it. Davenport agreed that the United States has conventional military options — but there is no guarantee of success. Moreover, North Korea could retaliate with its road-mobile ballistic missiles, which are designed to ride out a first strike by dispersing. Even if Trump were to resort to the nuclear option, there are questions as to how effective such an attack would be. In fact, the collateral damage to the United States’ network of alliances and Washington’s standing in the world could be catastrophic. 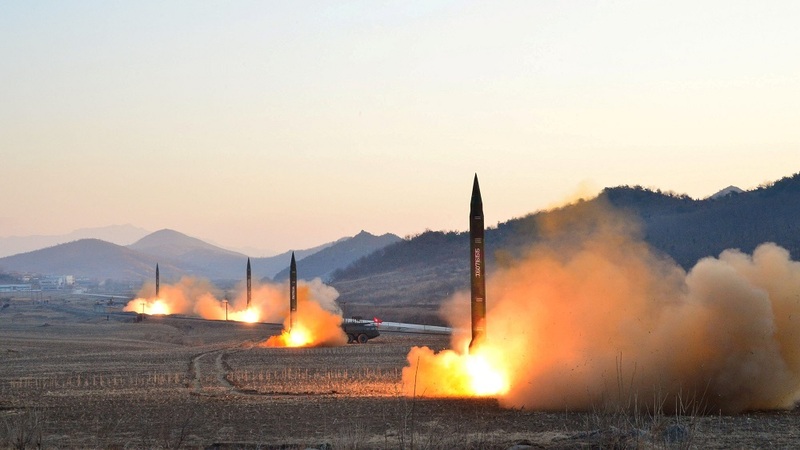 Another factor to consider is that a military attack that is intended to disarm North Korea’s nuclear forces might actually prompt a nuclear retaliation. Indeed, as former director of national intelligence, retired Air Force Lt. Gen. James Clapper told CNN, North Korea is looking at the world in strict realist terms. 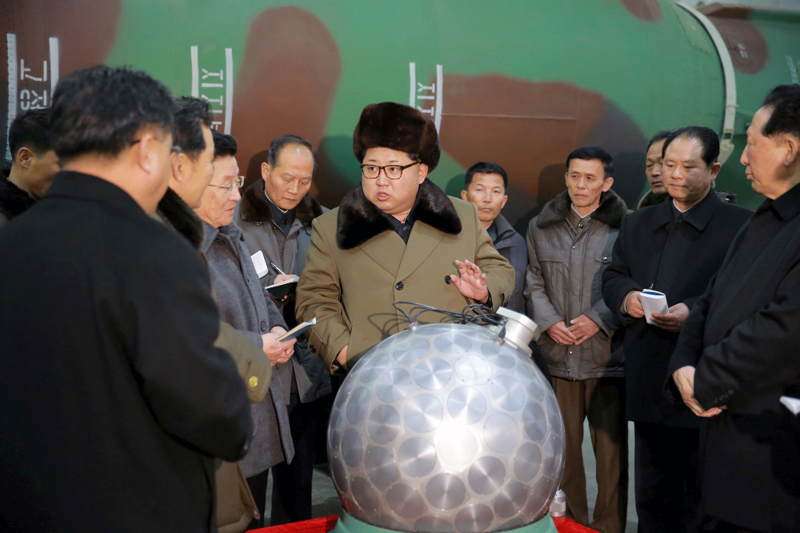 Pyongyang — from its vantage point — is surrounded by enemies that are overwhelmingly more powerful than it is. The Kim regime’s only trump card against those foes are its nuclear weapons.